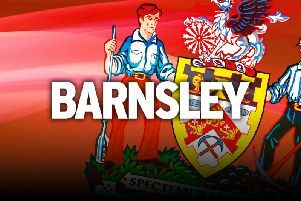 Barnsley will be boosted in their latest League One clash against a promotion rival by the return of Kieffer Moore. The Reds were missing their top scorer for Boxing Day's win over Peterborough, due to illness, but he will be fit to take on Charlton at Oakwell. The Reds produced a fine festive display against Posh and the return of Kenny Dougall in his defensive midfield position has been attributed as a major influence in the way Daniel Stendel's team play. The Reds could make more headway in their promotion challenge if they can beat the Addicks, who are a point above them in fourth position. The hosts will be eyeing retribution as their defeat in the reverse fixture in October was one of their worst showings of the season. And Winkler has pinpointed former Sheffield United striker Lyle Taylor, who has 13 goals, as the main danger. “We started watching the clips from Charlton, they are really strong and have lots of self-confidence,” he added. “It will be a really tough match, it will be a tough fight. “We have to be aware of their striker, Taylor, he is really clever, not a big guy, but really clever with his body. Everywhere on the pitch he is asking for the ball.